Assembled and ready to cook. Combine chili, ½ C cheese, catsup or chili sauce, and onion, fold mixture into tamale pieces, and stuff pepper halves evenly with chili mixture. 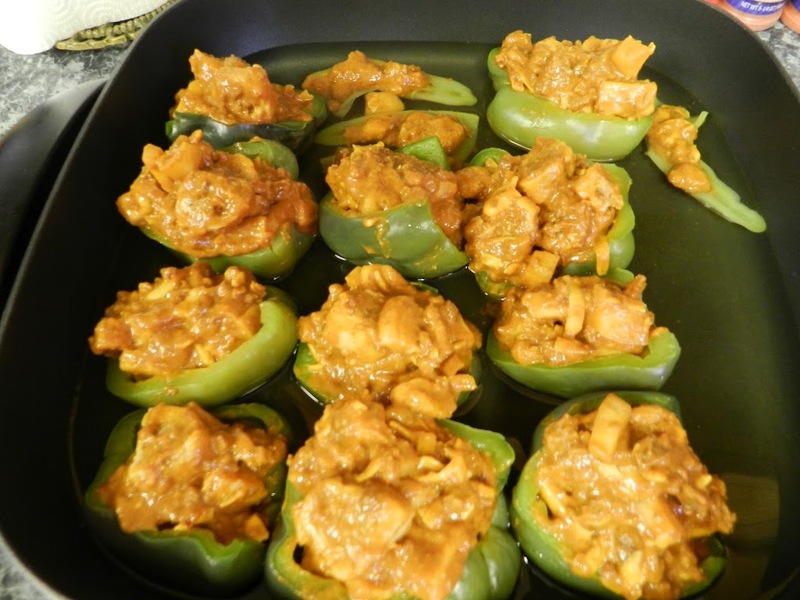 Place stuffed peppers in electric skillet, pour hot water around peppers to depth of ½ inch, cover, and simmer with vent open for 25 minutes, or until filling is heated through and peppers are tender. Top peppers with remaining cheese, sprinkle with crumbled tortilla chips, and heat uncovered until cheese melts, 1 to 2 minutes longer.